World’s strongest Motorcycle Tie Downs! These 7’ Aircraft Quality Tie Downs recommended by Motorcycle Consumer News. Package contains 2 tie downs. 4500Lbs. nylon. 2500 Lbs. hooks. s Designed speciﬁcally for easier mounting and dismounting of Motorcycle Tires - safely. s Smooth satin ﬁnish on tough drop-forged steel. 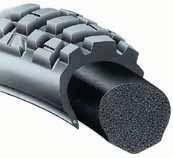 s Minimize risk of damaging tire bead bundle wires, tube & rim. s 13 3/4” long, 7/8” wide, will handle toughest sidewalls. s Special bend at installation end allows smooth, controllable ﬁt of the tire bead over rim edge. s Special handle shape with ﬂat removal ‘Tail’ to press between mounted tire bead and rim ﬂange, forcing bead down, into rim drop center. These Michelin brand mechanics gloves provide comfort & protection while working on your machine. Close ﬁtting ﬁnger tips makes delicate jobs possible. Avaiable in M, L, XL, XXL sizes. 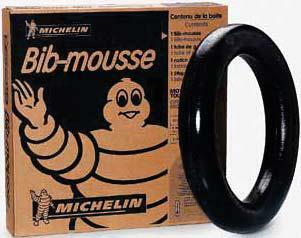 s Caution use only with Michelin Tires of identical size to Mousse on correct size rim. sMounting on the rim is difﬁcult. Correct tools and directions must be carefully used to avoid injury to the Mousse, rim, tire and the rider.